Dissolved Air Flotation (DAF) is used to separate emulsified fats, oils, greases (FOG), suspended solids and to reduce BOD from continuous flow. The central part of the DAF consists two circular sections. 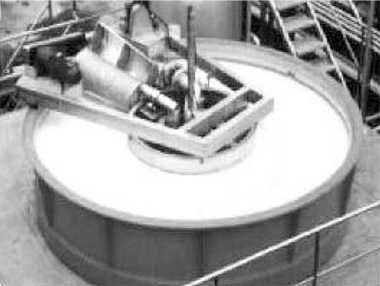 The inner section contains the sludge well and is fixed while the outer section rotates along with the spiral scoop at a speed synchronized with the flow. 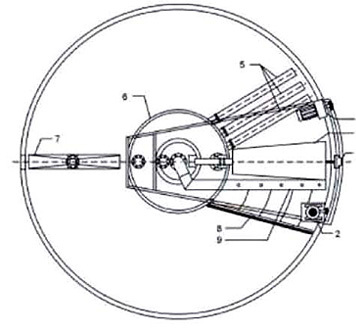 The inlet, outlet and sludge removal mechanisms are located in the central rotating section. The variable speed gear more drives the rotating elements and the scoop, for which electrical current is fed from a rotary contact mounted on the central shaft. 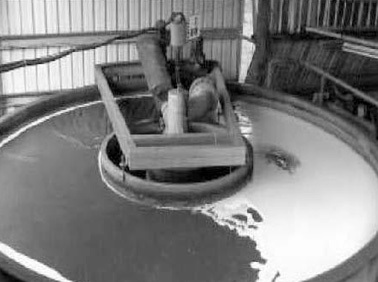 Un-clarified water is released through rotary joint in the center of the tank.